Espoo, Finland - This Assisted GPS (A-GPS) service helps Nokia Maps users find their current locations faster and get to their desired locations quicker using their Nokia mobile device with built-in GPS. Nokia intends to equip all of its future devices that have built-in GPS with this service. 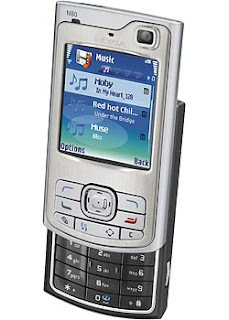 The first devices to use this service are the Nokia 6110 Navigator, which has begun shipping in select markets, and the most recent software release of the Nokia N95 multimedia computer. Current owners of the Nokia N95 can take advantage of this free* service by using the Nokia Software Updater. http://www.nokia.com/softwareupdate This will update the firmware on the device to the latest version.